Better call your local book retailer for a preorder. Bob Odenkirk will be releasing a book of personal essays — described as a “comic exploration” of his life and work — for Random House. 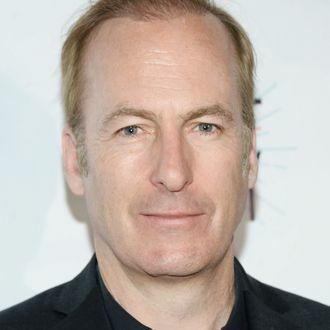 Specifically, the memoir will explore Odenkirk’s genre-bending career path that includes his early years writing for Saturday Night Live, creating and starring in Mr. Show With Bob and David with David Cross, and dramatic acting turns in Breaking Bad and Better Call Saul. In a statement, Odenkirk said the memoir will be “a comic ‘bildungsroman,’ if you will — defined by Webster’s Dictionary as ‘a novel about the moral and psychological growth of the main character’ — except this will be more memoir and the main character, Bob Odenkirk (actor, writer, comedian, gadabout), doesn’t grow morally or psychologically.” A title and release date have yet to be announced.